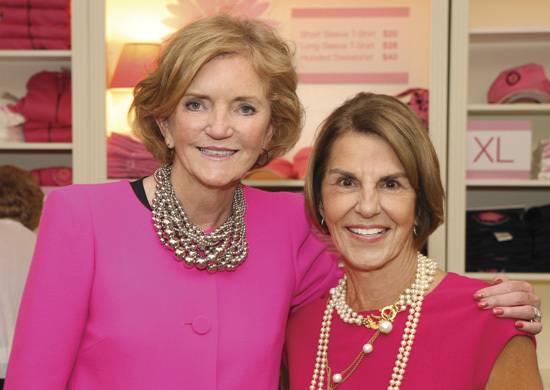 It's a long way from the basement to the big time, but Barbara Bradley Baekgaard and Patricia Miller have taken their line of women's luggage, accessories and clothing from trunk sales in their homes to major markets around the globe. The story began when the two new neighbors discovered they shared an interest in fashion design. They soon noticed that women lacked functional, attractive luggage for business trips. With $500 and the name of Barbara's mother, they developed some prototypes for soft, quilted duffel bags and purses. The items were the hit of an in-home clothing show, and demand grew. Baekgaard and Miller soon found themselves searching for experienced seamstresses, deals on wholesale fabric, and -- perhaps most important -- sound business advice. For 30-plus years, Vera Bradley has offered luggage and purses that mix function and fashion. To learn more about Vera Bradley, visit verabradley.com. The Vera Bradley team contacted Ft. Wayne SCORE and were matched with volunteer mentor George Cook. Cook applied his extensive experience in corporate finance to help Baekgaard and Miller develop a business plan, as well as establish bookkeeping and inventory procedures. "From the very start, George insisted on a balance sheet, profit and loss statement, and inventory report every month, no matter how tiny the list of figures," recalls Miller. George never told us what to do or how to do it. He would ask questions that helped us find the solutions for ourselves. We were very lucky to connect with somebody whose business expertise complimented our creativity." In just three years, the firm topped $1 million in sales and has enjoyed steady growth ever since. In 1987, Vera Bradley's founders received one of Ernst & Young's coveted "Entrepreneur of the Year" Awards. Baekgaard was one of the first women on the board of the prestigious Chicago Gift Show and serves on the Board of Directors of the Gift Association of America. Baekgaard and Miller's success story has also been chronicled in numerous newspaper and magazine articles as a proud example of other aspiring businesswomen to follow. Vera Bradley has been publicly traded since 2010. Even with their many business accomplishments, Baekgaard and Miller never hesitated to contact SCORE and Cook for advice. "George's help is invaluable," Miller says, "and he's never too busy to offer guidance."